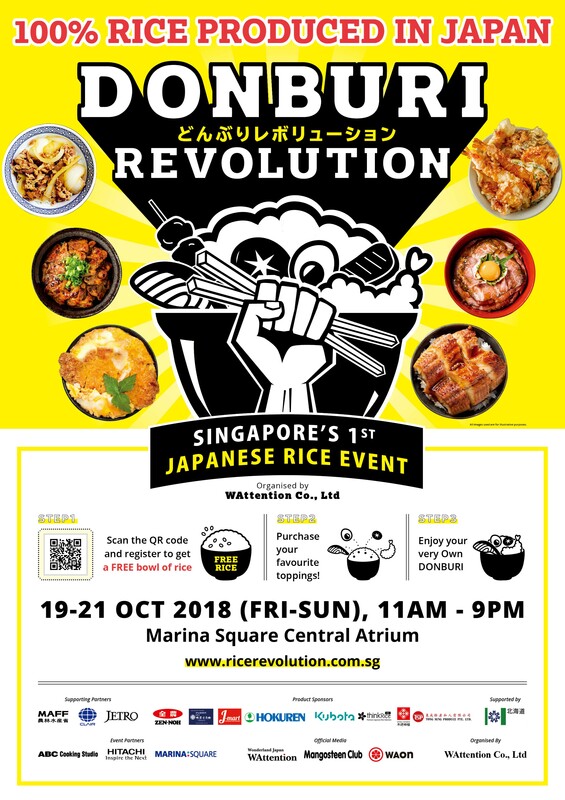 I want to introduce with you the ‘Donburi Revolution’, a first-of-its-kind event in Singapore where participants can make their own original rice bowl creations. This event is organized by WAttention and my office is also offering our fullest support. It will be held from 19 to 21 October this year. Rice from all over Japan will be used for ‘Donburi Revolution’, and on 21 October (Sunday), Hokkaido’s ‘Yumepirika’ rice will be used exclusively on this day. We hope to see the most creative and delicious rice bowls, so see you there!